Photonic components are fueling impressive gains by Earth-based astrophysicists—with more to come in the soon-to-be-initiated age of extremely large telescopes. 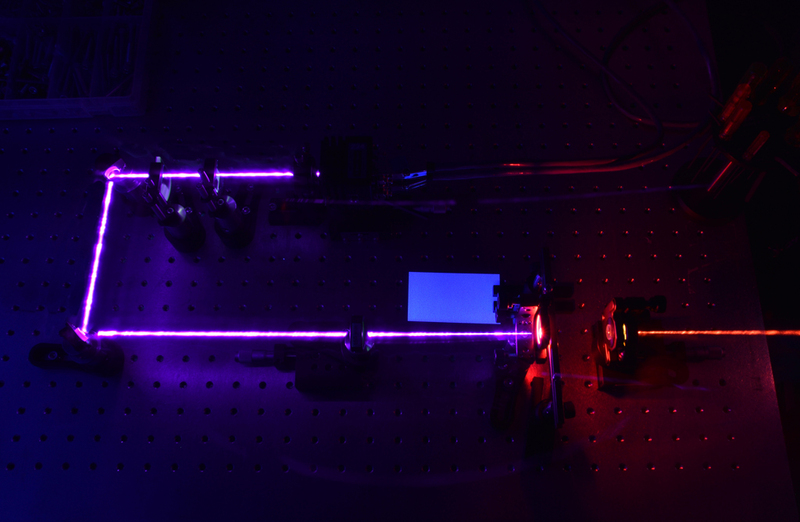 A gallium nitride (GaN) laser diode pumped ruby laser. The gap between the blue and red beams is the laser cavity. The beams are made visible by tracing them with a white card while the camera shutter is open.